Priyanka's wax statue was unveiled by Madame Tussauds in New York City. There are two kinds of celebrities in this world – ones who have their wax statues installed in Madame Tussauds and the ones who don’t. Even among these A-listers, there are the lucky and the unlucky ones. Few Bollywood celebs like Virat Kohli, Anushka Sharma, and Varun Dhawan can boast of having wax replicas of themselves that actually look like them. And, our desi homegirl Priyanka Chopra is the latest one to have joined this elite club of popular stars who have been immortalised by Madame Tussauds. _ <– Me when I saw my new wax figure at Madame Tussauds in NYC @nycwax (Coming to other locations soon!!) 4 figures. UK, Australia, Asia coming up! Thank you to the Madame Tussaud’s team. 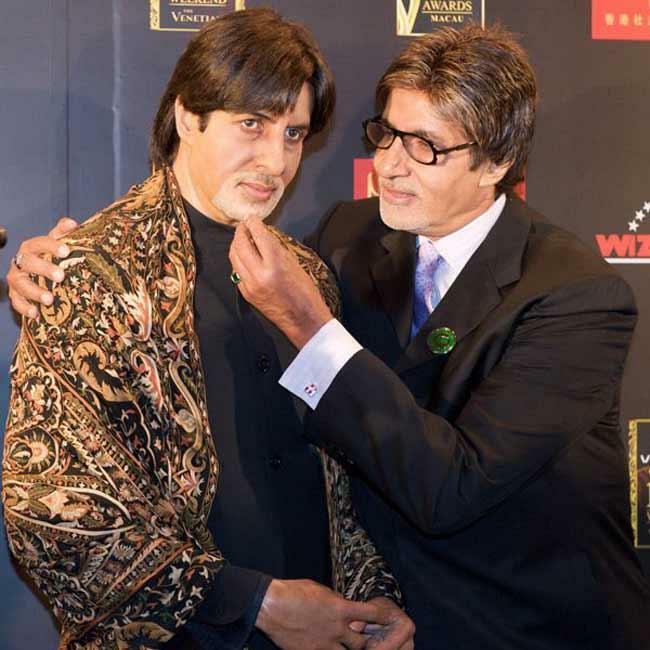 Amitabh Bachchan became the first Bollywood star and Asian to get a wax statue at Madame Tussauds in 2000. There was a lot of hype, as there generally tends to be around such events. But, his statue left a lot to be desired. The first Bollywood actress who got her wax replica in Madame Tussauds was Aishwarya. She was enjoying her time in Hollywood around then when her first statue was unveiled in 2004. The statue was modelled on her Bride and Prejudice avatar and only slightly looked like her…you know from certain angles…when seen from a distance. She eventually got another one in 2013, which was a drastic improvement on the previous one. 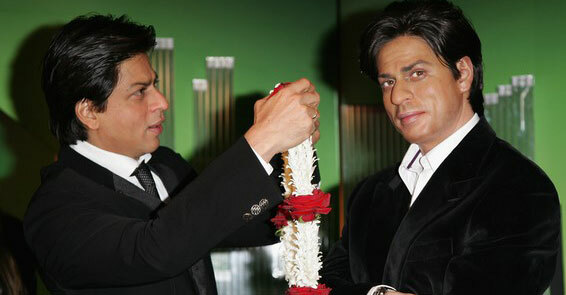 Shah Rukh got his wax statue in 2007 when he was an unnaturally young-looking 40-something. However, his statue looked two decades older, if not more. Well, at least it did look like SRK only, an older SRK. Back when Hrithik Roshan was still regularly called a “Greek god” in the pages of glossies because of his ‘good looks, good looks and good looks’, even he got his very own statue from Madame Tussauds. Much like Aishwarya’s statue, Hrithik’s also only slightly looked like him, from certain angles, when seen from a distance. 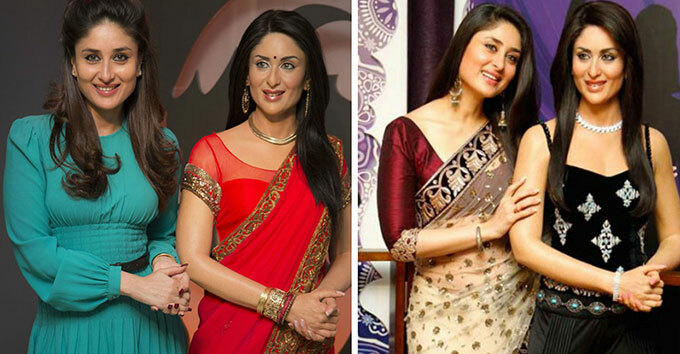 Kareena’s statue was unveiled in Madame Tussauds in 2011 and was dressed up like her character Geet in the song ‘Mauja Hi Mauja’ from Jab We Met. Four years later it was styled as her ‘Chammak Challo’ avatar from Ra.One but still looked very much the same…less like Kareena and more like Kareena’s younger aunt.